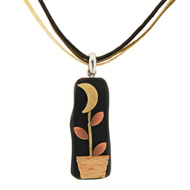 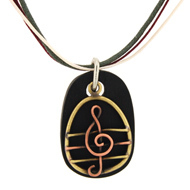 Pendant is handmade of birch and bronze and linked with triple fabric strands. 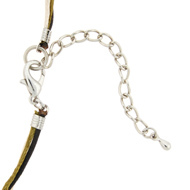 This necklace is finished with a lobster claw clasp. 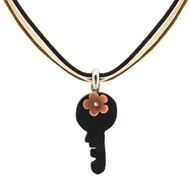 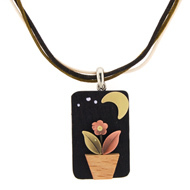 Handmade Flower Key Wooden Pendant Necklace.